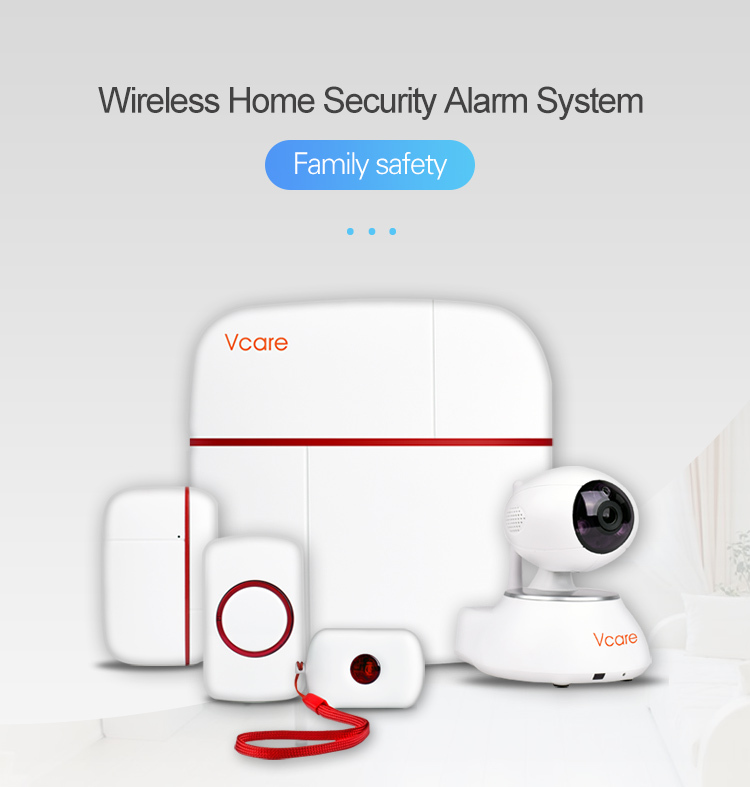 Vcare 3 is a smart home security hub which combines an all in one intruder alarm system including security camera, panic alarm, SOS service and fire alarm. 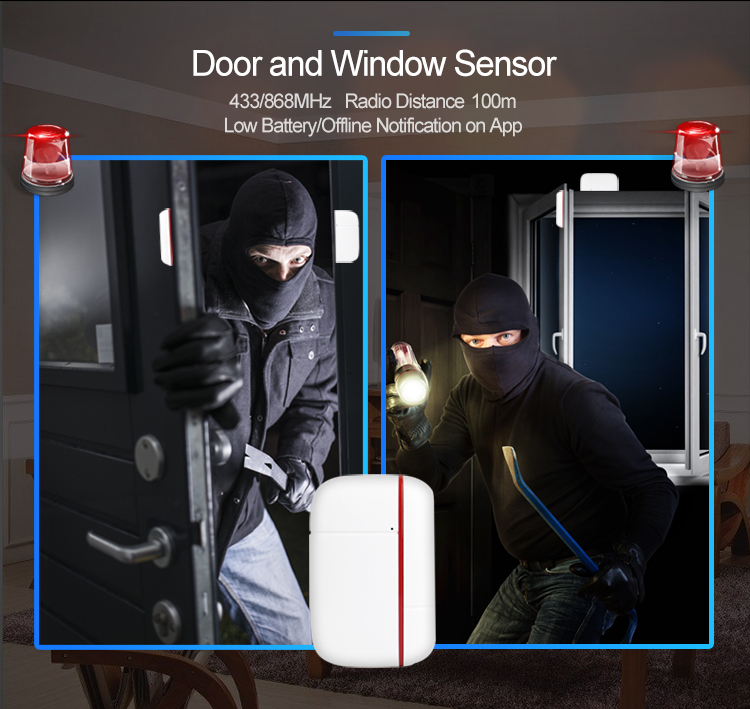 It transmits alarm information through WiFi and GSM/GPRS dual-network in a fast, safe and simple way. 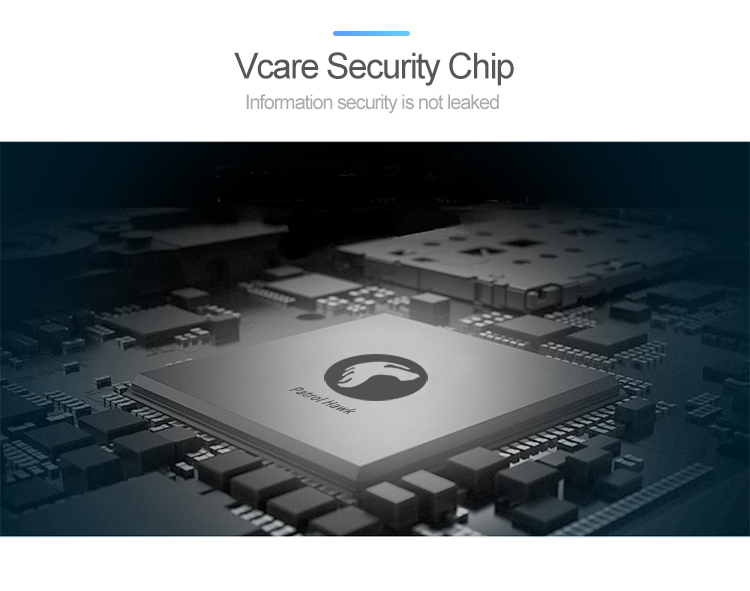 Vcare 3 gives you complete control over your premises. 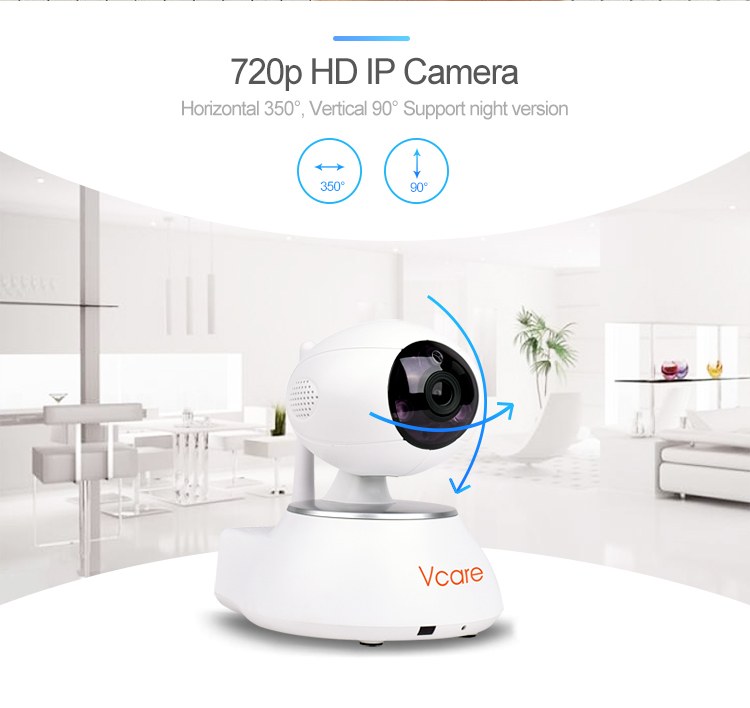 Its benefits starting from distance monitoring, having 355 degree live footage using an internal PTZ camera, voice and sound from both ways allowing flawless conversation, excellent SOS service just at one click, automatic humidity and temperature update of your home and a lot more. 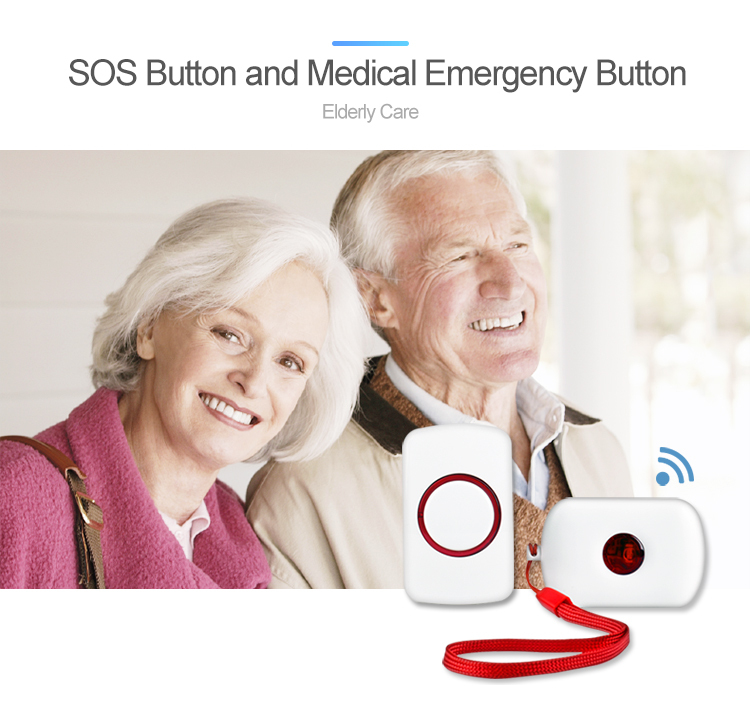 This wonderful technology contributes to a happier, safe and smarter life while taking us to the future. 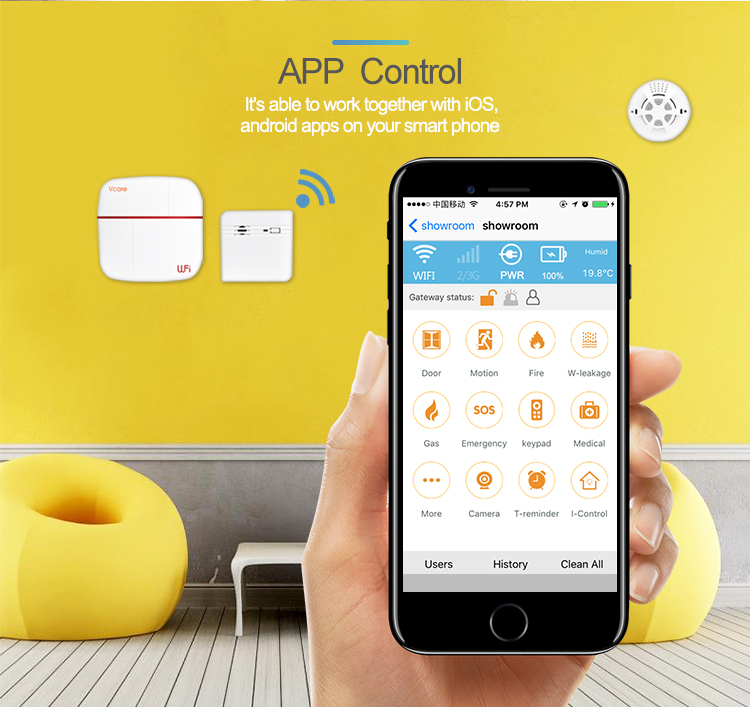 It's able to work together with iOS, android apps on your smart phone. It's able to add maximum 100 users. Comes with 3 SMS text message numbers and 3 call numbers. 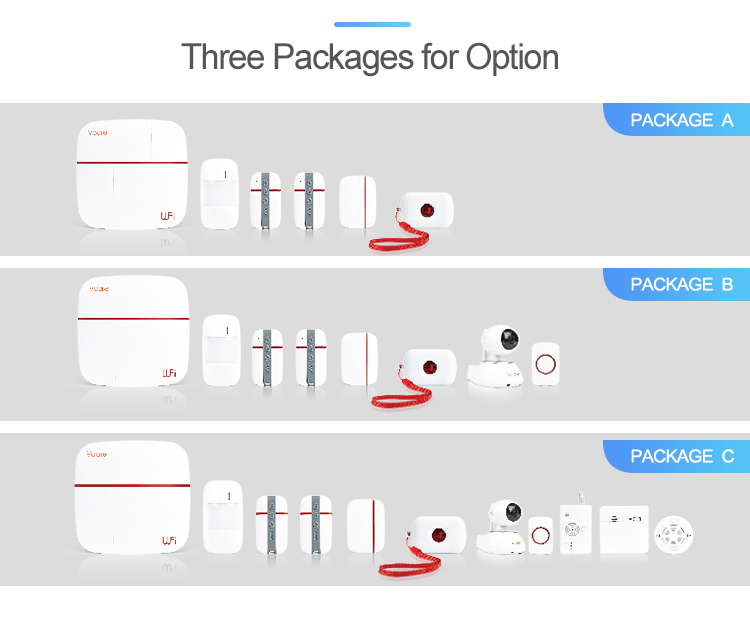 Comes with 99 wireless zones, 30 fire alarm zones, 4 water leakage zones, 2 wired zones, 20 remote controllers. 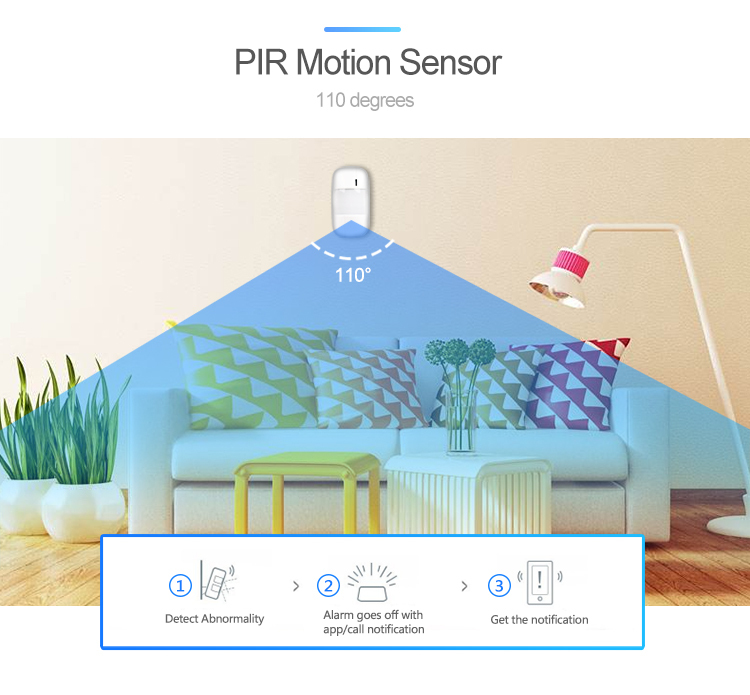 Adding extra sensors by scanning QR code, it's more easy and convenient. 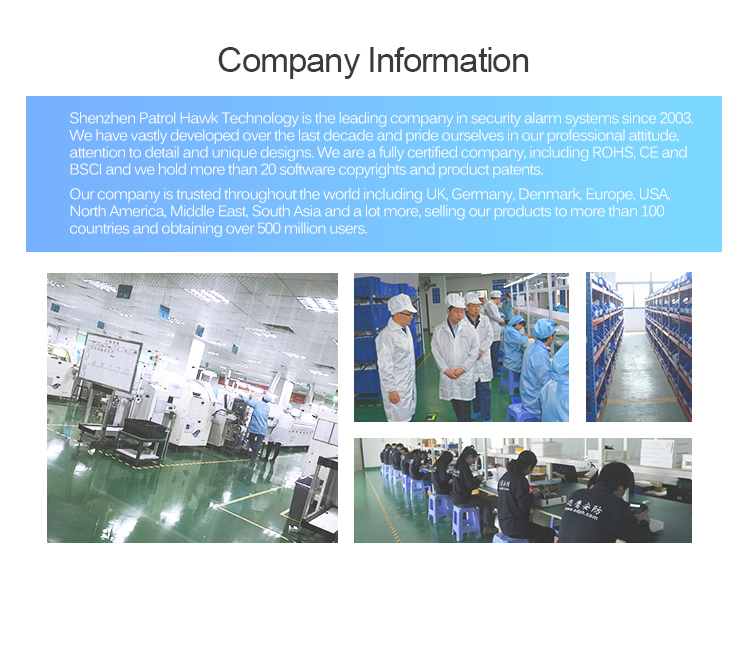 Comes with Chinese, English, Russian, Spanish, German,and French languages. 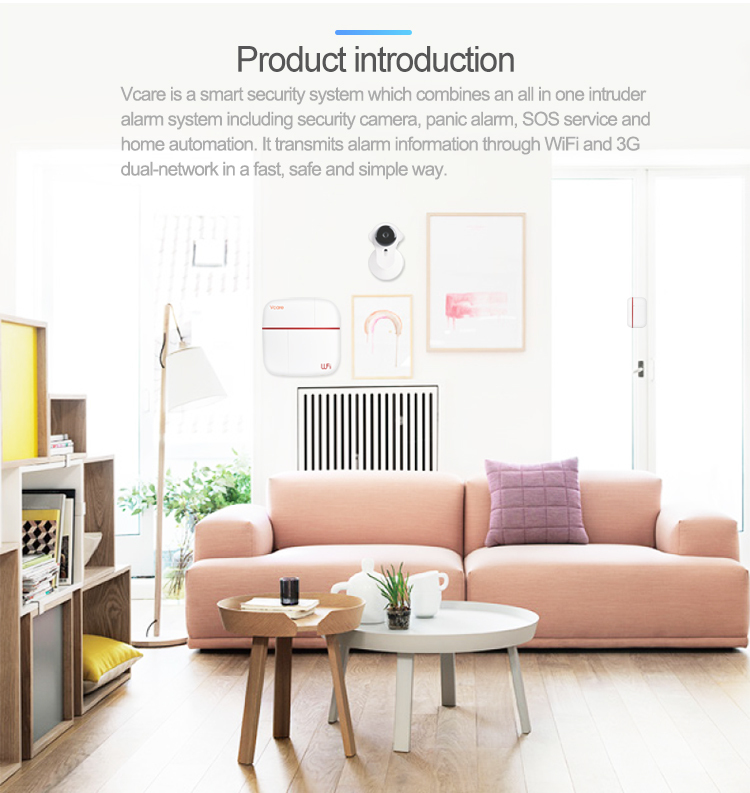 With self-detecting temperature, humidity and be able to setup over-temperature alert. Monitor the status for the sensors. With wireless emission function, control 99 wireless sirens. Remote control via text message and phone keypad. External power fail or recovery remind function. 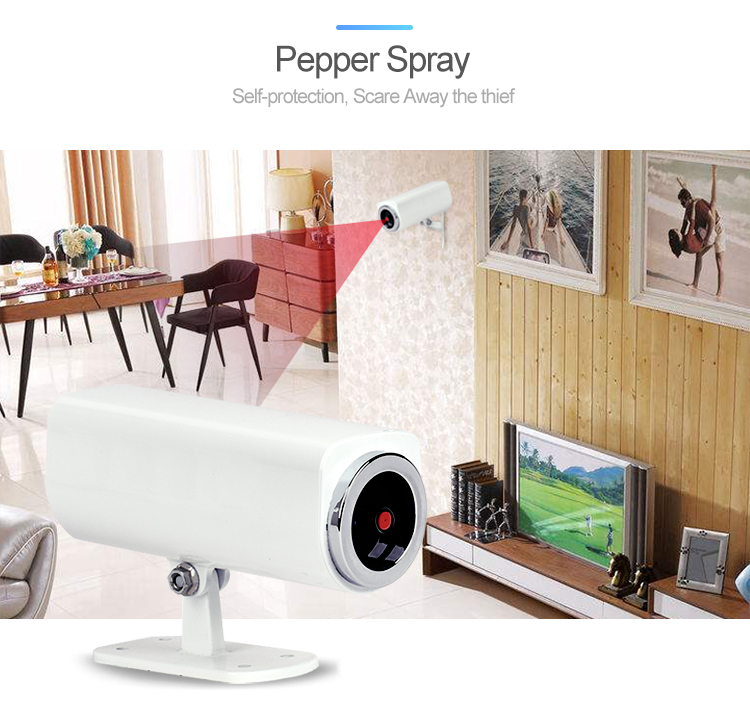 Siren remind when arming, disarming by remote control. SMS remind when arming, disarming by remote control. 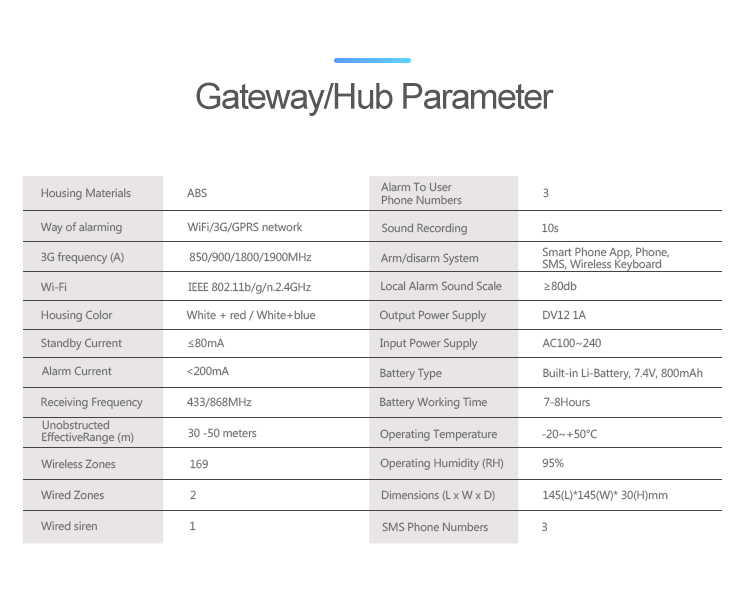 G2 comes with touch keypad, 24 wireless zones and 2 wired zones, two ways communication.etc.